﻿ Book Iguana Hotel (Las Terrenas) - 2019 PRICES FROM $280! 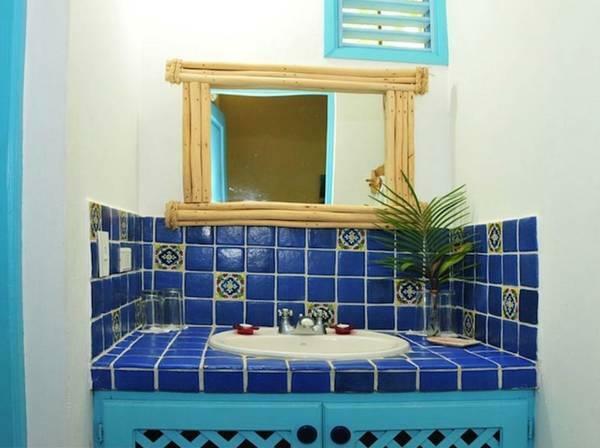 Iguana Hotel is located in Las Terrenas and offers complimentary American-style breakfast and free Wi-Fi connection throughout. The property has an outdoor pool, sun terrace and gardens. The simple and colorful bungalows have ceiling fans, air conditioning, seating area, and terraces overlooking the gardens. The amenities also include cable TV and a fridge. The bathroom is private, has a shower and offers free toiletries. The on-site restaurant only serves breakfasts, and also on-site is a bar. Within 0.6 mi from the property are a variety of restaurants that specialize in local dishes and seafood. The 24-hour operating front desk can help the guests to arrange sightseeing tours in the area or, when season, a tour to see the whales. Maricó Beach is 3 minutes’ walk from the property and El Portillo Airport is 30 minutes’ drive away. Please note that the first night of the reservation must be paid in advance. Once a booking has been made, Iguana Hotel will contact the guest directly to arrange payment by bank transfer. Please note that credit cards are only accepted to guarantee the reservation. Payments need to be made on cash. Feel free to contact the property directly once the reservation is made for further details.